Listen to "Maretimo Funky Radio" 🎧 24/7 the finest soul & funk classics of the 70s and 80s. Lovingly hand selected to a groovy sound cocktail by DJ Michael Maretimo. Weekly international guests and special DJ mixes. Every little boy needs his hobby ...and that´s one of mine. 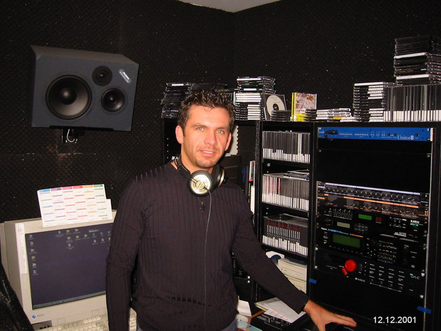 My own radio channel, with the music of my youth, which i´ve played as a young DJ in my 20's. Beside my wonderful daily job as a music publisher & DJ for chill and house music, i´ve always loved the soul & funk music of the 70s and 80s. Enjoy my "funky" time travel to the top hits of: Earth Wind & Fire, Chic, The Temptations, Kool & The Gang, The S.O.S. Band, Billy Ocean, Jocelyn Brown, Midnight Star, Sister Sledge, George Benson and many more. This cool flashback throws you back, to the funky times with glittering, bright, shimmering, reflected light. "Maretimo Funky Radio" is the home of great soul & funk artist and brands like: Earth Wind & Fire, Billy Ocean, Kool & The Gang, Midnight Star, Sister Sledge, Michael Jackson, Grandmaster Flash & The Furious Five, Commodores, Zapp Roger Troutman, Diana Ross, The Temptations, George Duke, Evelyn Champagne King, The Sugarhill Gang, Barry White, George Benson, The S.O.S. Band, Oliver Cheatham, Prince, Roberta Flack. LL Cool J, Timex Social Club, Orange Juice Jones, Mack Morrison, Shannon, Delegation, Jocelyn Brown, Aretha Franklin, The Jackson Five, Shalamar, The Pointer Sisters, Studio 54, Mowtown Records, Solar Records, Tabu Records ...and many more ...we are funky !